It’s always fascinating to see the way in which one isolated event, big or small, plays out in the long term. Respawn Entertainment dropped a nice surprise that (almost) no one saw coming when the developer simultaneously announced and released Apex Legends, a free-to-play first-person battle royale set in the Titanfall universe. One has to wonder if this game would have ever seen the light of day, if not for one fateful day in March 2010. March 2, 2010 was a cool, mostly-sunny day in Encino, California, where Infinity Ward offices were (and still are) located. But reports began surfacing that things were starting to heat up internally, beginning with an explosive report that two co-founders of the company, Jason West and Vince Zampella, were terminated from their own company at the behest of parent company Activision. This wasn’t done in some low-profile, after-hours fashion, either. Instead, “plain-clothed” bouncers suddenly showed up at the office following a meeting between the two founders and Activision executives. The bouncers wouldn’t state who they were or why they were there, but when West and Zampella were no longer seen at the company, it was obvious to everyone in the office that some very troubling events had just taken place. Fired on a random Tuesday, West and Zampella wasted no time in filing a lawsuit the very next day against their former employer, claiming that Activision breached their contract and wrongfully terminated the duo. Activision released a statement on Friday, March 5, 2010 stating its case and belief that it was West and Zampella who were found to be in breach of their contract, and thus they were legally terminated. Lawsuits often take a while to come to any sort of final conclusion. In this case, there were not one, not two, but three lawsuits to sort out. One was the above-mentioned case against Activision by West and Zampella. A second lawsuit was filed by the Infinity Ward Employee Group, which represented 38 then-current and already-former employees. They sought damages from $150 to $625 million, alleging missed bonuses, royalties, interest on those payments, and more. The third lawsuit was actually a countersuit in which Activision alleged that EA poached talent when it financed Jason and Vince’s next venture. All three cases were settled out of court, and attorneys announced that they planned to dismiss all charges on May 31, 2012, a day before trials were scheduled to begin. What is PR good for? Not absolutely nothing, but rather, to stop the bleeding in times of negative news and rumors. (To any PR reps reading this: it was just a song reference.) If you spoke to Infinity Ward Community Manager Robert Bowling during this tumultuous time, things were “business as usual.” This is because most everyone was focused on shipping some hotly-anticipated DLC for Call of Duty: Modern Warfare 2, which was, admittedly, blowing up the sales charts. Indeed, the business side of things related to Infinity Ward may have been just peachy, but things would clearly never be the same for West, Zampella, and the crew they had built over the years. Only two days after Call of Duty: Modern Warfare 3 was confirmed to be in pre-production, West and Zampella announced that they had formed a new company. Dubbed Respawn Entertainment, Zampella was quoted as saying “Respawn Entertainment marks a fresh start for Jason and me,” and you have to admit that the name fit the situation. The term “respawn” in a video game means to come back into the match, often time as exactly the same character as you were in the previous life, but also often with a different weapon loadout. Shortly after West and Zampella were forced out of Infinity Ward, others followed. In a series of rapid developments, Infinity Ward saw notable employees leave their posts. In the end, 46 Infinity Ward employees resigned, and an amazing 38 of them signed on with Respawn Entertainment. Talk about living up to your name! Meanwhile, Activision PR went on the offensive, claiming that the company treated its developers very well. Things seemed all doom-and-gloom for Infinity Ward, as even analysts were predicting an imminent closure of the studio due to the massive workforce departure. (Later reports called the studio “all but dead.”) But video game development is a business, first and foremost, and the reality of the situation is that Call of Duty was, and still is, a “golden goose” that is seemingly destined to forever print money. Infinity Ward was not shuttered, as it has developed and released three Call of Duty games since the events of 2010: Modern Warfare 3, Ghosts, and Infinite Warfare. As far as casual fans of the series were concerned, things were certainly business as usual. As the dust started to settle over what had transpired, there was a lot of activity at both Infinity Ward and Respawn. While EA giddily reflected over the exclusive publishing rights it had acquired from the newly-minted Respawn, Activision prepared for more staff departures and began to look for replacement Senior-level staff. The show must go on, after all. Even rival developer Treyarch, who also developed Call of Duty titles due to “sharing” the license under Activision, got in on the action. The developer praised the talent that was left at Infinity Ward. It was then that Respawn Entertainment got busy. After a brief sighting at QuakeCon 2010, the company went effectively radio silent for nearly three years, though there were teases as to what the studio’s first project would entail. Finally, it was announced that Respawn would be showing the fruits of its intensive labor at E3 2013. A leaked online article was all it took to unveil Titanfall, which ended up being an Xbox One and PC exclusive. 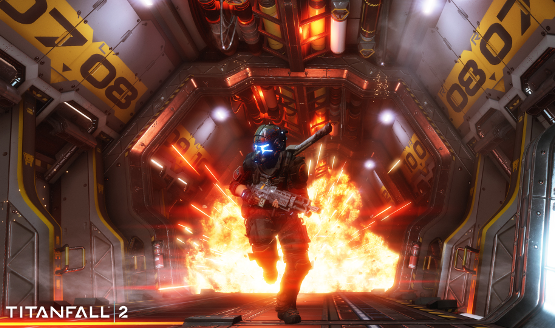 Titanfall was well-received when it launched in March 2014. The Call of Duty pedigree from which the developers came from was obvious in its fast-paced shooting, but the addition of jetpacks and giant mechs called Titans was a refreshing change of scenery from other mainstream shooters. A mere three months after Titanfall’s debut, there were already reports of a sequel not only in the planning stages, but set to release on the PS4 this time around. However, Respawn had people waiting a while for any official news of the game’s development progress, as it skipped out on E3 2015 entirely. Unlike the fast-paced development environment seen at Infinity Ward, at Respawn things were different. Sure, internally things were likely moving at a rapid pace, but externally it had already been five years, and yet only one game had been produced. “It will be worth the wait,” Zampella teased near the end of 2015. Titanfall 2 had a very long lead-up to release, beginning with the news that the sequel would have a proper single-player campaign. Given that the story up until this point could be recapped in approximately 60 seconds, PS4 players weren’t missing out just because their experience with the series would begin with a sequel. These latest developments had us excited to get our hands on the game, and the wait promised not to be too much longer. Though, with the pace of teaser trailer releases and gameplay information which dropped frequently, it seems Respawn was more than happy to build up the hype. Eventually, we got our hands on both single-player and multiplayer sessions. It certainly seemed to live up to the hype, as a technical test kicked off for the public to get some hands-on time with Titanfall 2. Following one final preview, Titanfall 2 launched on October 28, 2016 to high scores and praise. It confusingly launched around the same time as EA’s other big name shooter, Battlefield 1. Both games competed with Call of Duty: Infinite Warfare that year. While Titanfall 2 did well critically, it couldn’t beat Call of Duty, in terms of sales. Yet, the game performed well enough to pique EA’s interest in an acquisition of Respawn Entertainment, a transaction which it completed in less than a month. Which brings us to more recent developments. In October 2018, there was talk of Respawn releasing more than one game in 2019. Sounds like a busy schedule, but then the studio’s team had expanded in the ramp-up to Titanfall 2’s release. Plus, with EA having spent hundreds of millions of dollars to acquire Respawn, it’s easy to imagine that the publisher was eager to see a return on its investment. While the developer was assumed to be busy working on a direct sequel to Titanfall 2, it certainly surprised everyone (leaks aside) with February 2019’s reveal of a free-to-play battle royale game set in the Titanfall universe called Apex Legends. 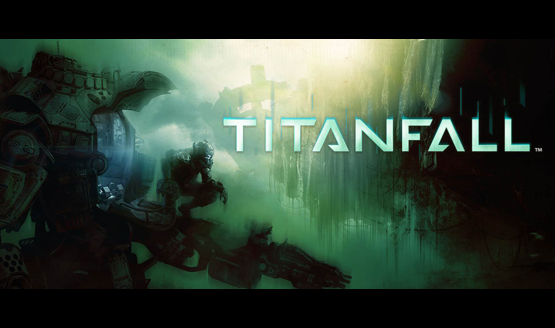 However, it was suggested that Titanfall 3 was not in development, as many had assumed. The focus of the company was all about their take on a popular genre, alongside their Star Wars project. Featuring the twitch-based shooting of Titanfall games, as well as some of the same weapons, Apex Legends certainly has a style of its own. This sets it apart from the likes of Fortnite and PlayerUnknown’s Battlegrounds. Yet the trademark Titans from the core franchise are conspicuously missing. Diehard fans of the franchise may worry that this means the game’s population will quickly taper off. But after amassing one million players within eight hours of launch, 2.5 million in that first day, and 10 million players in 72 hours (even reaching a full million concurrent players within that same timeframe), it seems the action stands on its own without the mechs propping the game up. The initial influx of players was so impressive, EA’s stock jumped up 11% on the news, with investors no doubt excited to see revenue from the free-to-play game. Sure, most of the game’s premium DLC is in the form of cosmetic items, but as we’ve seen with Fornite, that can be a major driver of income. It’s been a long, winding road to get from Call of Duty to Titanfall and Apex Legends. Could anyone have predicted that two high-profile firings would eventually culminate in the launch of one of the fastest-growing games of all time? Would you imagine Activision ever approving a game such as Titanfall or Apex Legends from its chief revenue-generating Call of Duty developer? Not that the company could be blamed for running the business of video games as exactly that, but still, it’s a wonder what creative freedom can result in. 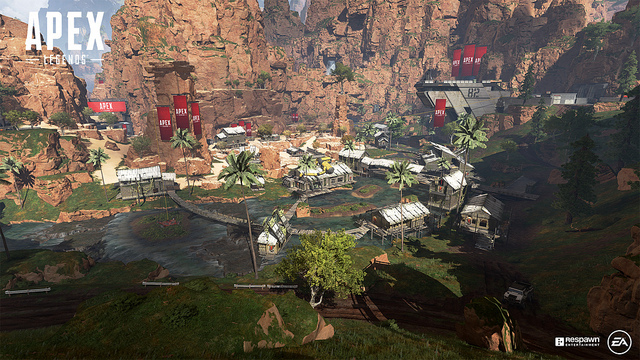 Time will tell if Apex Legends is going to stick around for a while, or is merely a passing fad. But regardless of the outcome, the journey this particular game takes its developers on will no doubt be another interesting one.